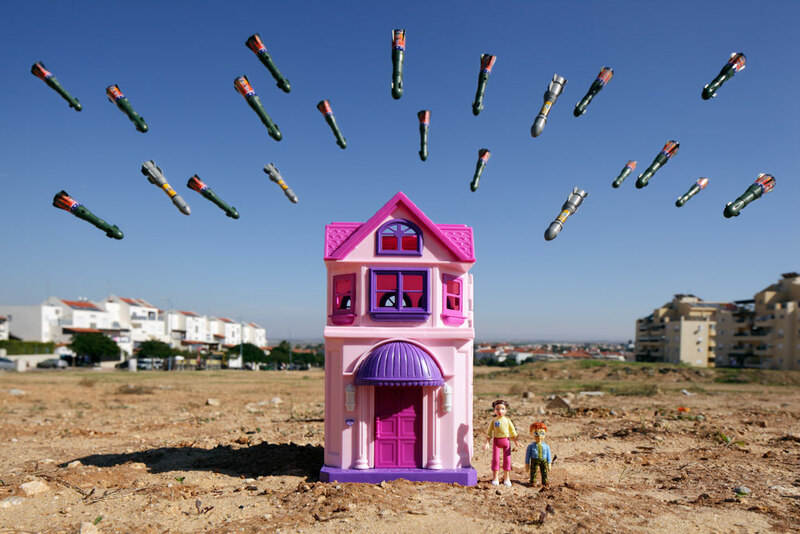 With support from the Israel Trauma Coalition and psychologist Dr. Benjamin Epstein, children in the Israeli town of Sderot contributed to the WAR-TOYS project in late 2012. 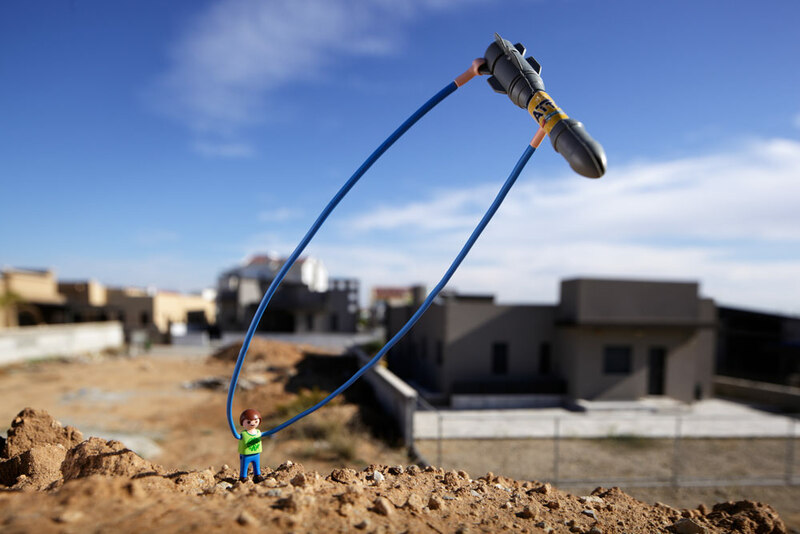 Art based interviews began in the first hours of a ceasefire that ended a period of escalated conflict between Israel and Gaza known as "Operation Pillar of Defense.” Boys and girls who had been unable to evacuate were still sheltering in community bunkers, afraid to leave. In the eight days prior, 1456 rockets and mortars had been fired from Gaza (less than 2 km away) into Israel, many hitting in or nearby the town. 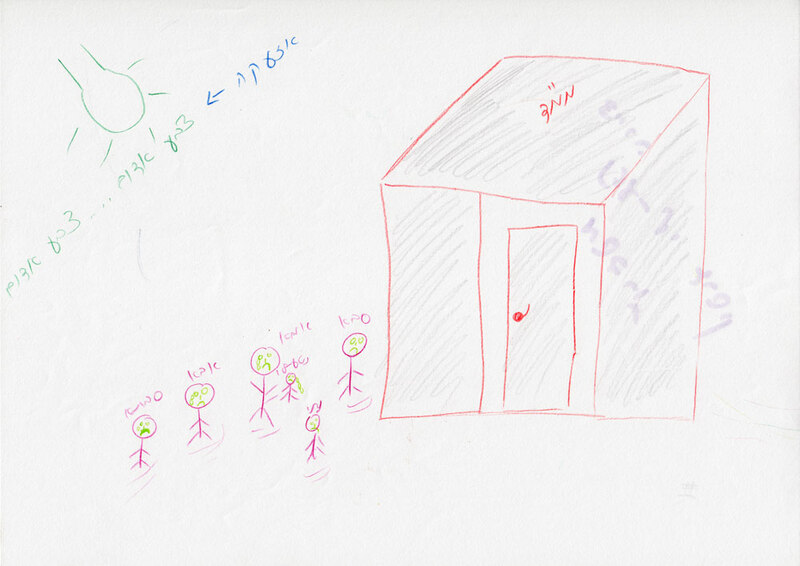 The artwork created by the children focused largely on “Qassam” rockets and the associated fears. 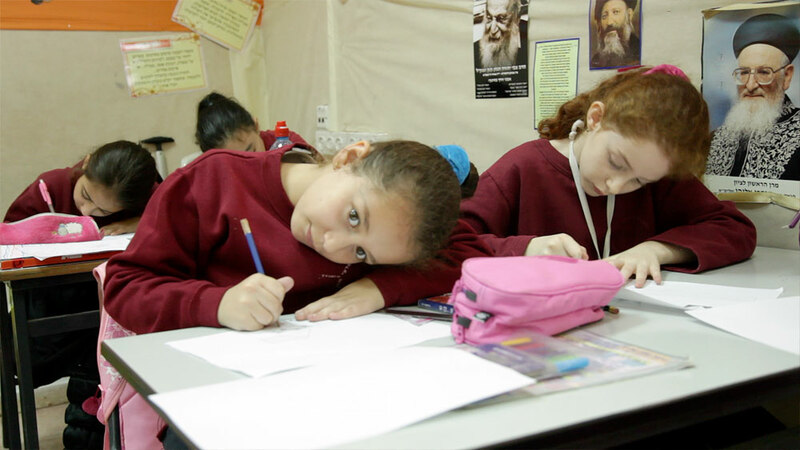 As the ceasefire held and life began returning to normal, additional interviews were conducted at the AMIT Torani Mada'i School on the second day that classes resumed. Both the boys’ and girls’ drawings expressed anxiety over the near-constant threat of attack, even during times of relative calm. 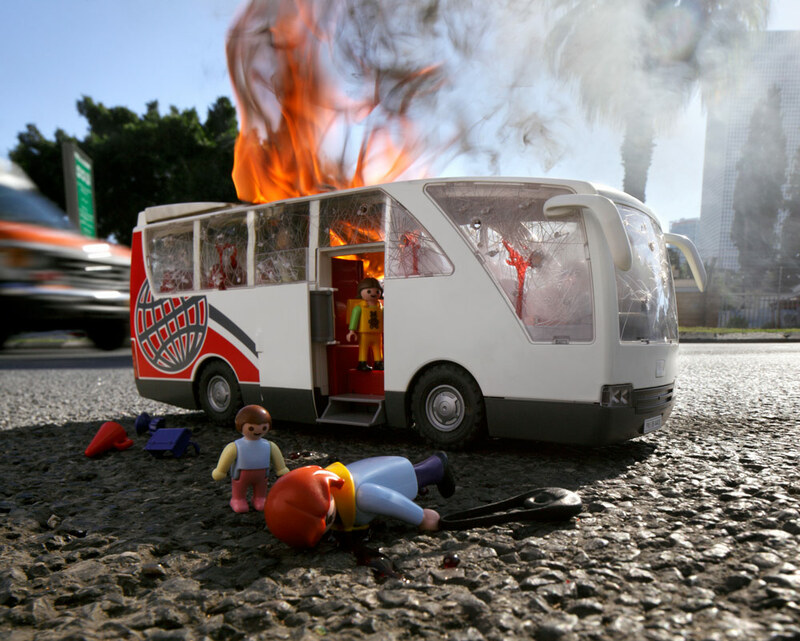 One boy shared his fear of a bus exploding. The week before, a bomb was remotely detonated on a public bus in Tel Aviv. 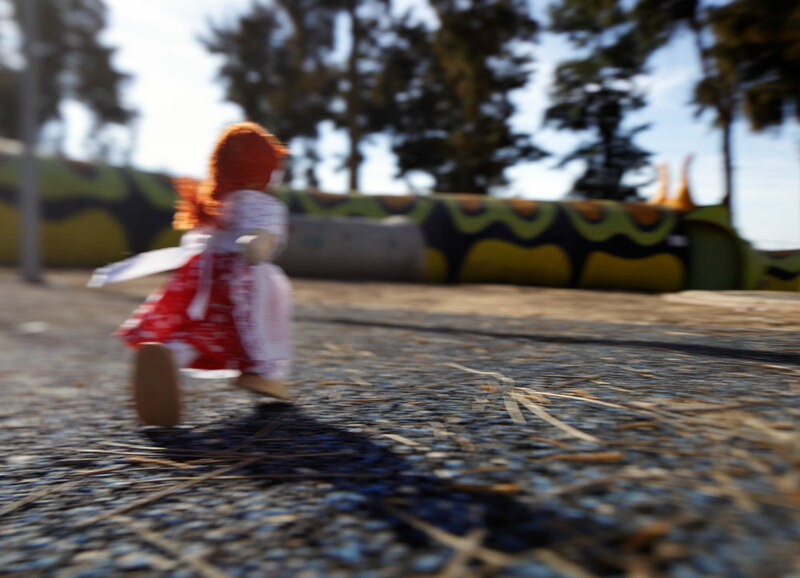 To recreate the children's accounts, Brian worked in and around the town of Sderot as well as the actual sight of the bus bombing.